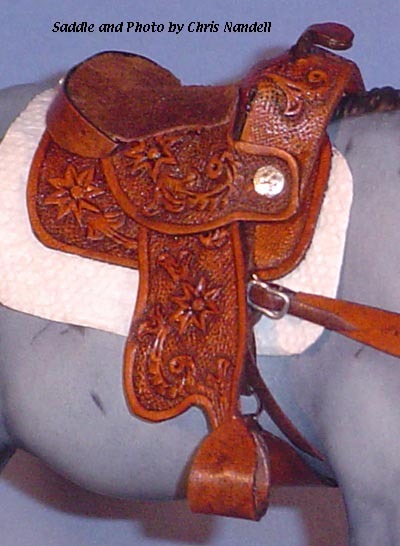 Most of these saddles were my original pattern and design and were made entirely of leather. (They did not have any sort of a "tree" under the parts.) 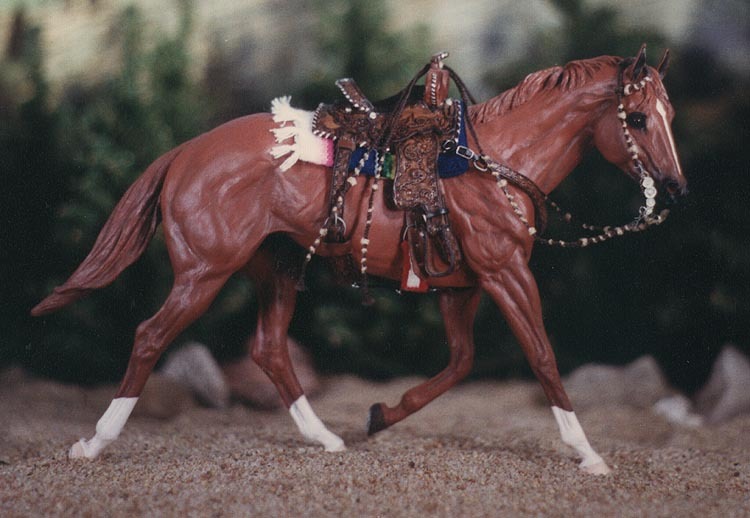 I showed my Miniature Saddles in the International Federation Of Leathercarvers Show in 1981 and again in 1983 where they won the first place trophy in the Misc/Miniature carving class each time. 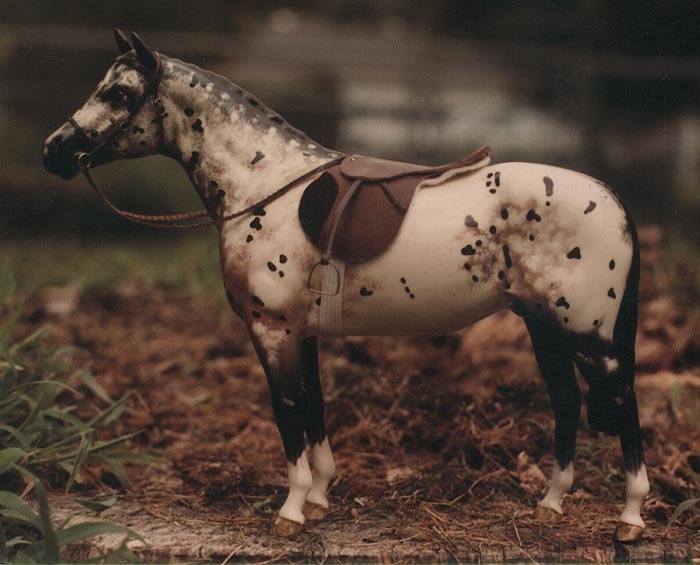 In the model Horse Shows and in the Leathercraft world, these pieces were way ahead of their time. 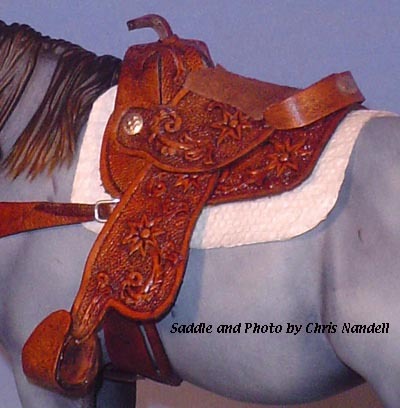 Dark Brown Floral Carved "Wild Daisy" design - 1/9th scale. 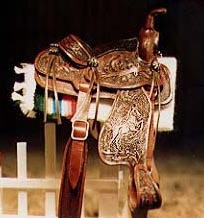 This is the Saddle that took 1st Place at the International Federation of Leathercarvers Show in 1983. 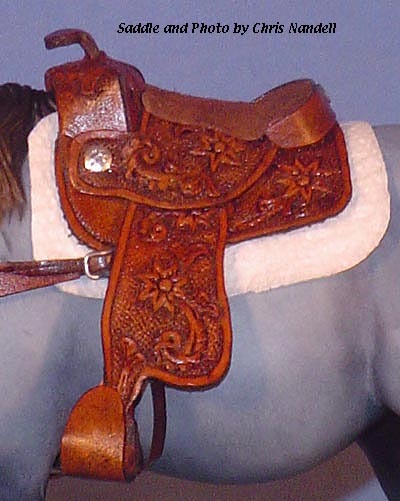 The carving even includes tiny "Decorative Cuts" and raised petals. Natural Floral Carved - 1/12th scale. 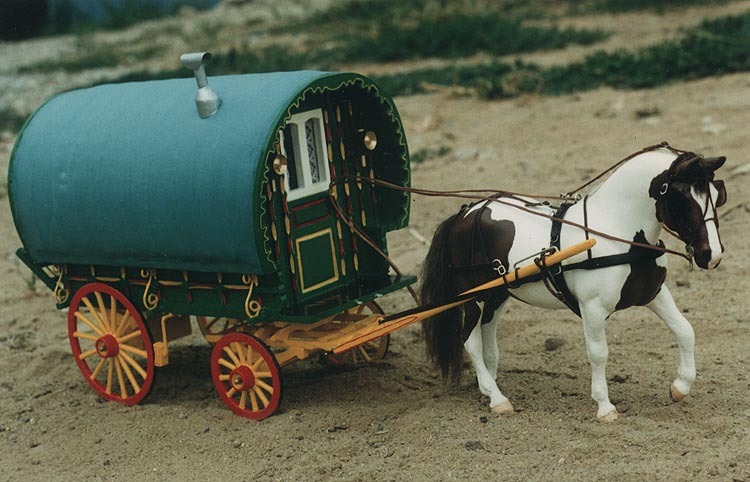 This is one of my early tooling designs. 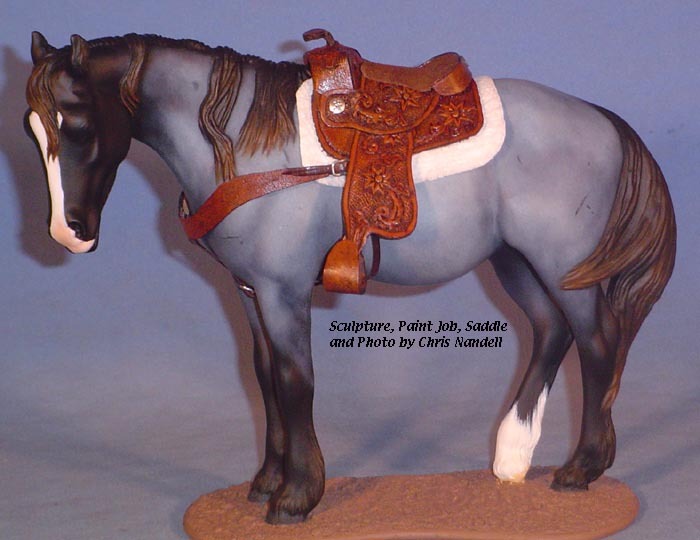 Full-Color Western Sidesaddle, "Wild Rose" design - 1/9th scale. Mahogany Figure and Floral Carved - 1/9th scale. This one has a "tree" for the front part. 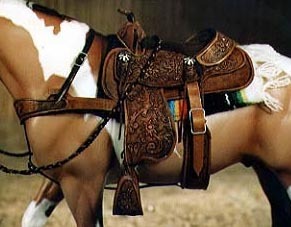 This is one of the many harnesses I made. The only Indian Costume I have ever made!. And here are a couple of my Huntseat sets. 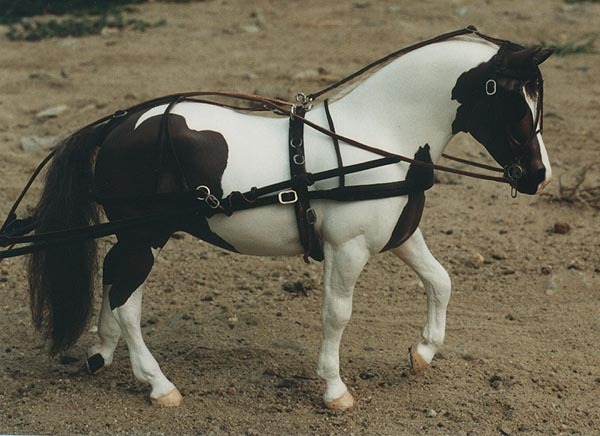 This is one of my pseudo-braided bridles. 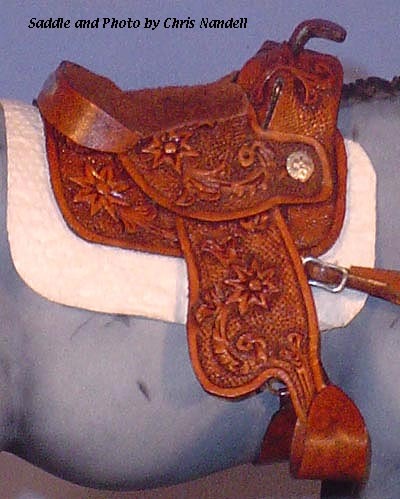 Due to changes in my life, I stopped doing leather work completely in 1984. 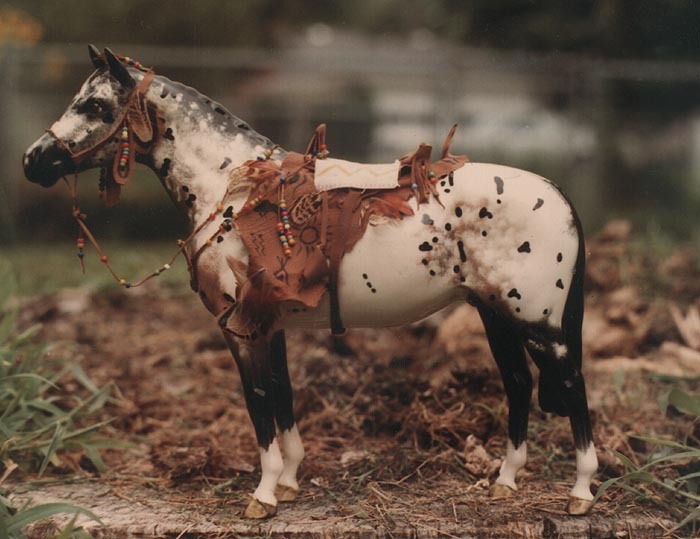 In October of 2007 I decided to unpack everything and set my Leathercraft Shop up again. 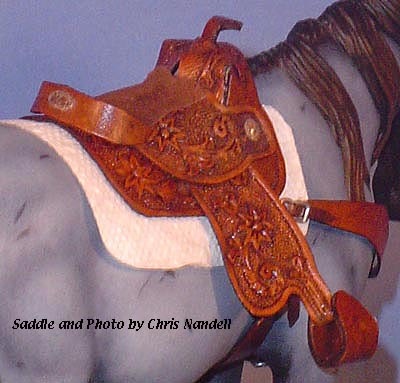 In the course of unpacking everything, I discovered several sets of saddle parts that I had tooled and dyed in 1983 & 1984. All that was needed was to assemble them! 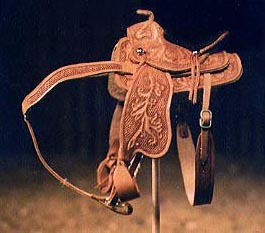 Below are photos of the first one of these saddles I assembled. 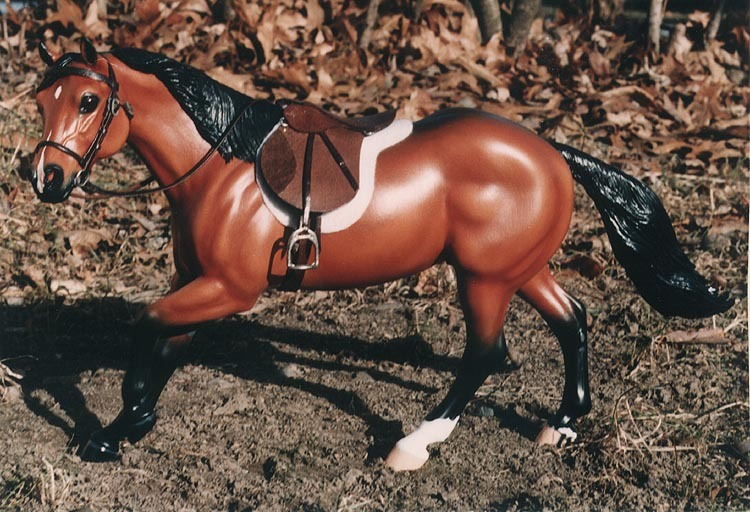 Tooled and dyed in 1984 - assembled in 2007! It even has tiny "Decorative" cuts and raised petals. 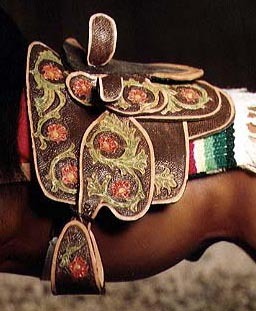 Trimmed with genuine "tooled" Silver Conchos and Cantle Plate. There is another Classic Sized set that is all ready to assemble. 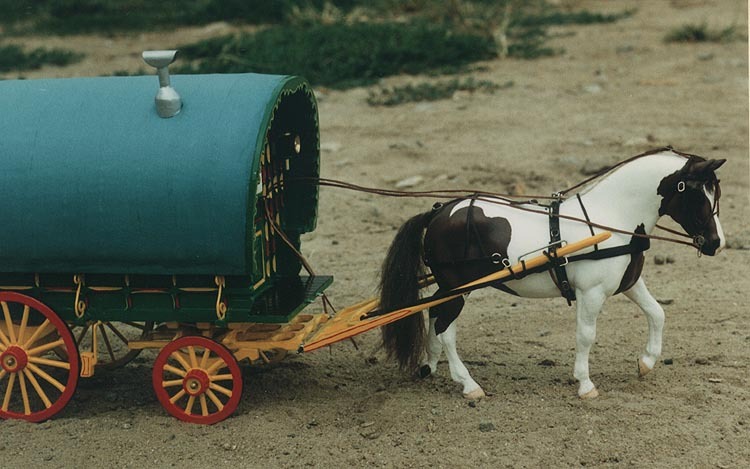 I will add photos of it when I get it completed. 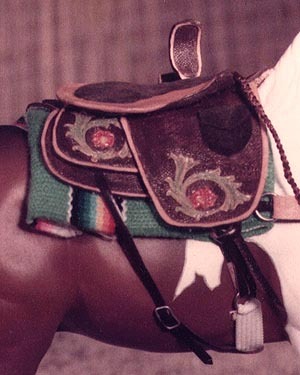 In the future, I will be using the Rio Rondo Saddle patterns and parts with all - new original designs. New pieces will be photographed and added to this page as completed.